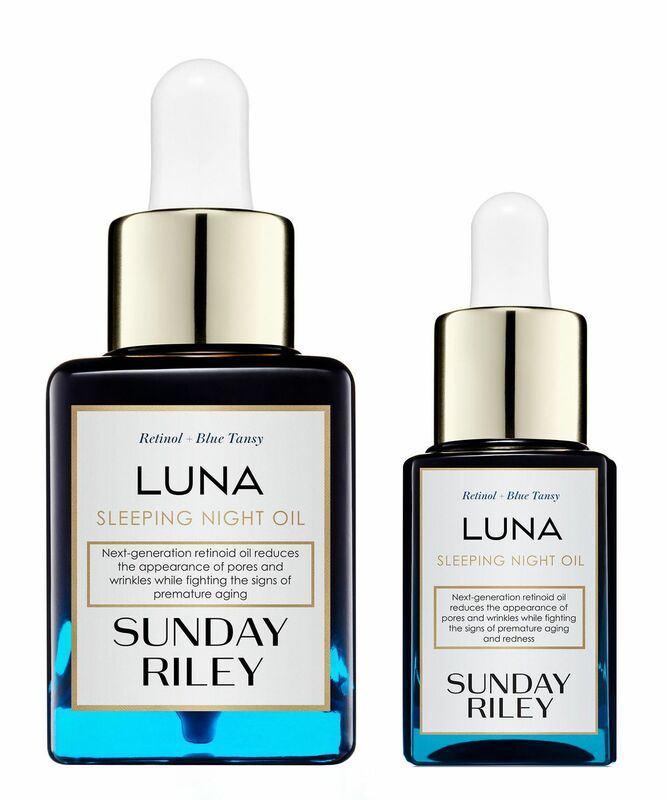 Are you obsessed with your Sunday Riley Luna Sleeping Night Oil? If so, this Home and Away set was made for you. Worth an impressive £130, this dazzling duo unites a full-size Luna Sleeping Night Oil (35ml) and a travel-sized mini (15ml) meaning you can rest assured you’ll never be torn away from your favourite skin care product. 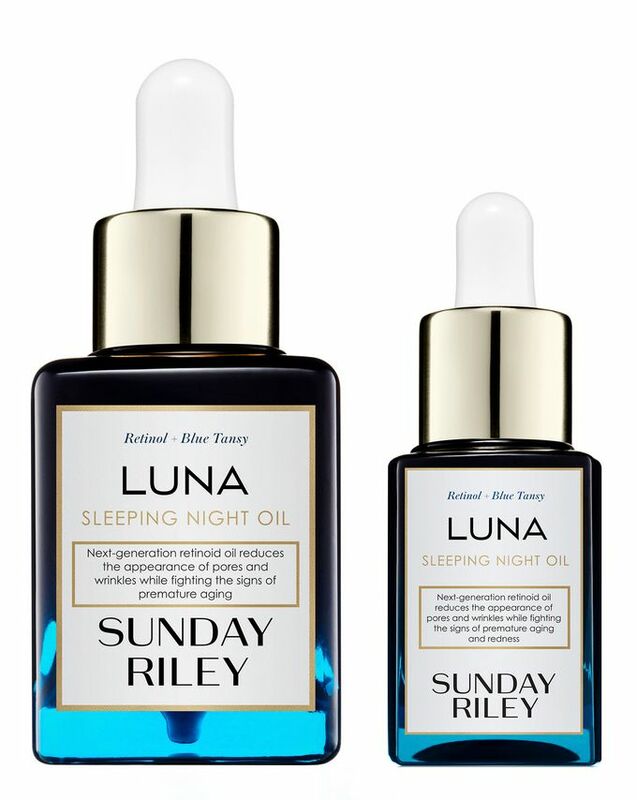 Starring retinol and blue tansy – a powerfully skin-soothing, anti-inflammatory extract that reduces redness and helps to calm signs of skin stress – Sunday Riley’s Luna Sleeping Night Oil corrects and anti-ages; tackling all-too-common issues such as eczema, psoriasis, dermatitis, rosacea and acne, while counteracting the ravages wrought by oxidative stress. An incredible night treatment for all skin types – especially dry, dehydrated, confused and mature – think of this as a stint in skin-rehab; it works hard to reverse the day’s damage and neutralise free radicals, so you wake to a beautifully smooth, ‘plumped’ and luminous-looking complexion. Sunday Riley has harnessed her native, North American botanicals to create a range of potent anti-ageing products. Marrying traditional skin care ingredients with hi-tech processes, this incredible, bestselling range is beloved by top beauty bloggers, editors and celebrities – Gwyneth Paltrow, Helen Mirren and Victoria Beckham are just some of Sunday’s age-defying, A-list devotees. Apply a few drops to clean skin before bed - gently 'pressing' into your complexion with the heat of your hands. I have been using this night oil for almost 2 months now, but I fell in love with this product 3 days after using it. I could see my skin in the morning became brighter and more supple, and disappearance of my acne. This oil has become a product for every night before going to bed. I use around 5 drops while my face is still wet from my toner, which helped with the absorption, after following with serum than cream. Strongly recommended for people with dull and dehydrated skin. I'm so disappointed in this product. It left me with redness and spots all over my T zone. I have never had problems with breakouts and didn’t expect to start in my 50s! So disappointed in this product. A terrible waste of money. I have been using the Luna Oil for about three months now, and I have really seen a marked difference in my skin. I have very fair skin that is prone to eczema so I have often had to spend hours applying all sorts of potions to my face to combat the dryness, with this I don't even need to apply an evening moisturiser to get soft and supple skin in the morning. It has also reduced some lines around my eye, I think through softening and rejuvenating my skin. The smell isn't wonderful but reminds me of forests and you quickly get used to it. Now, because I use the oil as part of my nighttime routine, the smell makes me sleepy. I have been using this Oi for about 3 weeks and though it is early to see results I must say I totally love it! If you love oils on your face you are gonna love this. It leaves my skin baby soft and glowy when I wake up! It doesn't break me out though it is quite thick. I am using my serum and eye cream and then the oil at the top. No night cream. I like it very much. It's very useful. Tout simplement Parfait. J'ai la peau grasse et cette huile ne l'a rend pas plus grasse contrairement à tout ce que j'ai déjà essayé. Au réveil, ma peau est lisse et douce. J'ai le teint unifié et lumineux. Je recommande. ** Just perfect. I have oily skin and this oil hasn't made it worse unlike other products I tried. I wake up with smooth and soft skin. My complexion is even and glowy. I recommend. Luna sleeping oil- I got a sample size from cult beauty and tried using it for a week, it is just magical. I saw the difference in morning, it gave my skin a fresh glow and has cleared up my skin. Creates whiteheads every single time around my chin.